We invite you to stop in and see the exceptional selection of beautiful plants that make Stringer's Garden Center one of the premiere nurseries in the Mid South. Not only is there a wide selection – but there is superior quality. Throughout the season, fresh shipments arrive at our nurseries on a weekly bases. Then we take great care of the plants until they find a home in your garden. These cutting edge exclusive selections offer todays gardener exclusive plants with an eye for the trends and fashion of today's gardener. 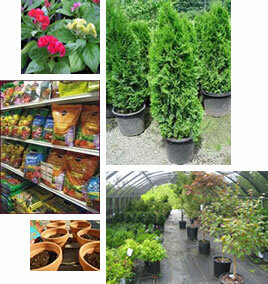 Our vast line of plant material includes various perennials, annuals, bulbs, trees, shrubs, groundcovers, vines, houseplants, and herbs. Choose from a variety of premium gardening soils, mulch, potting mixes, soil amendments or fertilizers to help your project reach its best potential to create your own beautiful landscape or garden. As you wander through Stringer's Garden Center, you are sure to see variety of garden decor items such as pots, containers, ornaments and several fun and unique items dotted here and there. Plus, don't forget to check out our Christmas shop around the holidays. We have a lovely selection of live Christmas trees and holiday decorations. Come and browse today - you will be delighted & surprised with the inspirational ideas around every corner.